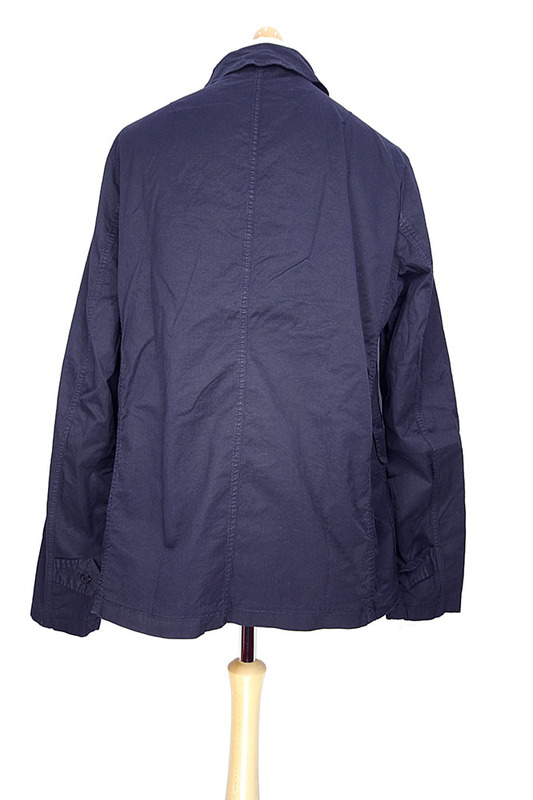 Rundholz Dip Collection double breasted cotton mix jacket in blue ink cloud colour. 2 columns of 5 buttons. Collar. 2 large patch pockets with flaps and left side small ticket sale pocket. Fabric tab with button fastening on cuffs. very easy to wear, light Winter jacket.